By now, just about every studio trick or effect can be easily added to an audio track. At the click of a mouse, the average bedroom producer can add flange, distortion, chorus or filter. 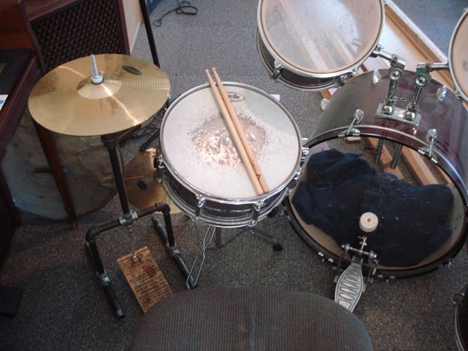 The holy grail of audio effects, reverb, was the subject of this experiment done by Audio Zero and Wikidrummers. 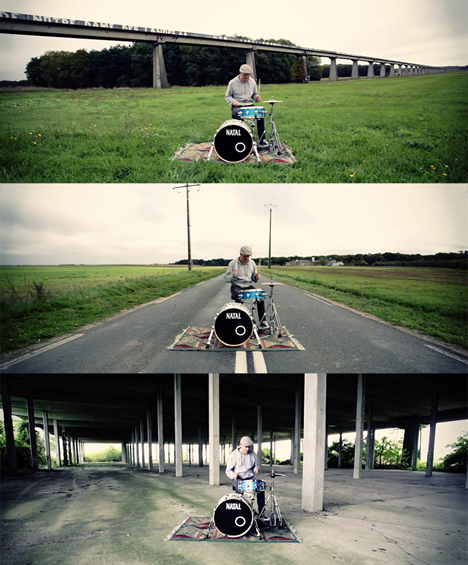 The two web teams employed drummer Julien Audigier to bang out a drum pattern in various natural settings. The goal was to capture the marked distinction in reverb that each setting would produce. When finished with each recording, the accompanying video was edited to show not only the differences in reverb, but how it would sound when they’re blended together. The layered effects produce some amazing tones, and the video is edited so seamlessly that the effect is almost dizzying. See more in Digital Design or under Technology. January, 2014.